Tag Archives for " Chinese tourists "
Shenzen Window of the World: Around the world in 80 minutes..
Dahlings, Bloomberg had a story about the Chinese tourists who have this ideal image about France and when they actually visit , they have a rude awakening about the place. Complaints include stolen bags at the airport, dirty streets and targeting of Chinese by pickpockets. Like their Japanese counterparts, first-time visitors from China — fed on media reports and movies like “, An American in Paris,” or “Le Fabuleux Destin d’Amelie Poulain” — arrive expecting to see a quaint, affluent and friendly European city with smartly dressed men and women smelling of Chanel No. 5. Instead, they discover Paris’s grittier side — packed metros, rude waiters and pickpockets intent on robbing cash-carrying tourists — all of which sends them into psychological shock. “Sometimes, they’ll try to pay for an ice cream with a 500-euro bill,” Zhou said. They usually convert large amounts of yuan to limit money-changing fees, and the use of credit cards isn’t as common in China as it is in Europe, he said. 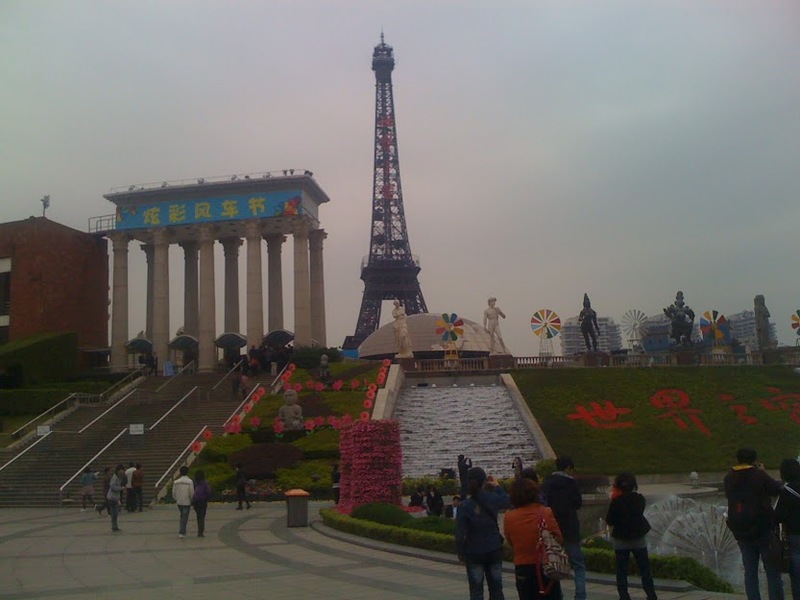 Chinese media reported that 48 tourists were robbed in May as they headed to their hotel in a suburb of Paris. In France, the problem was highlighted by the mugging of a group of Chinese tourists in Le Bourget, near Paris, said Muriel Sobry, police chief of 8th arrondissement of Paris, which covers the avenue des Champs-Elysees. “Paris is a romantic city, but it’s naive to believe it’s crime-free,” she said. I visited Shenzen a few years ago- see photograph – and walked around the “Window of the World”. Here you can get a bit of France, England, Germany (Complete with ‘Franziskaner’ beer), Ancient world and the Mario Brothers in same place. If WoW really wants that authentic European experience they need a few adjustments: import some pickpockets, drunken locals, change names of ice cream to Gelato and increase price to 13 Euro each, Industrial strikes and wet weather. By the way on Paris: Don’t take it personal. The Parisians hate also each other. Their hate is really a form of love. They love to hate you !